Ms. Chen was born in Taiwan and began her musical studies at the age of four until receiving the masterâ€™s degree. She completed her undergraduate degree at the National Kaohsiung Normal University with Chu-Chuan Liu, and attended Taipei National University of the Arts for her master degree. She has a great passion for music and possesses the good musical ability. During her school days, she has held frequent principal positions of the symphony orchestra, and has premiered several new works for solo cello, string quartet, and orchestra. 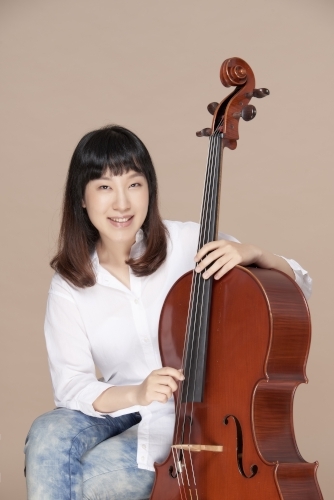 Also, she was a winner of several cello competitions including the Taiwan National Cello Competition and has been recognized for her achievements. In addition to being a cello tutor, she also teaches in school and performs as a member of the chamber ensemble or symphony orchestra. In the course of her training as a musician, she has played in masterclasses with Paul Katz, Uri Vardi, Thomas Landshoot, AnzÃ©l Gerber, Alexander Kaganovsky, LÃ¡szlÃ³ MezÅ‘ and JÃ©rÃ´me Pinget. Hsun Chen is a cellist currently working on her performerâ€™s diploma at the Southern Methodist University, studying with AndrÃ©s DÃ­az.